I have nothing new to post today. Partially because the weather forecast says rain for the next five days and I’m still trying to swallow that bitter pill. And also because there’s been a noise coming from the hall bathroom toilet for three days and I CANNOT THINK ANYMORE. I don’t know how to describe it other than a cross between a dripping sound and a burp… every. three. seconds. And now you know what Caleb will be working on this weekend because I’m on the verge of pulling out my hair or pulling the toilet out of the ground. One. 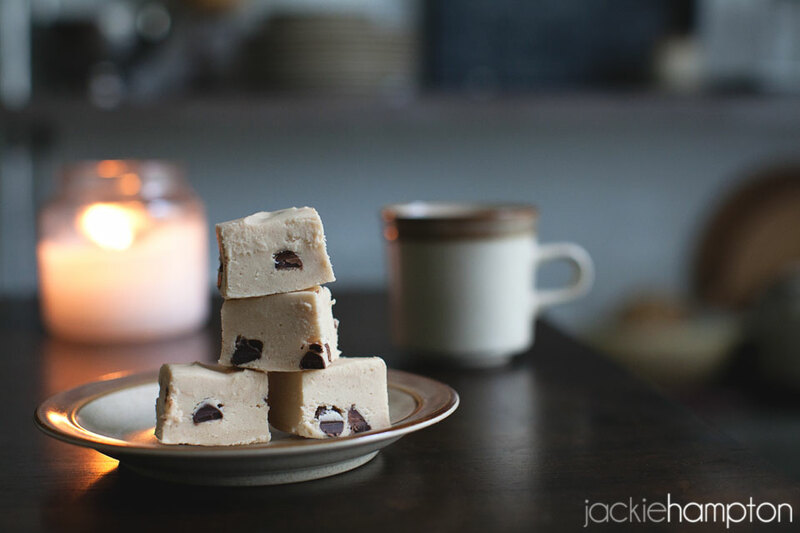 Oh, and here’s a picture of chocolate chip cookie dough fudge for no reason. You’re welcome.